Breaking & Entering, also known as burglary, or simply B & E, is the crime of entering a residence, place of business, vehicle, or structure without having permission or with the intent of stealing property (goods), or other offence. This also includes any attempt to break in, or damage done during an attempt to break into a residence, building, vehicle, animal pen or structure, or, any attempt to break out of one. In Toronto, prosecutors and other law enforcement officers have no tolerance for individuals who are charged with committing burglary, and usually take any necessary measures to make sure you will be prosecuted to the maximum possible. Retaining an experienced b & e defence lawyer to fight on you behalf during the process is the only likelihood you have of successfully defending against the evidence and accusations to winning your case. All these factors will be in consideration during sentencing. Minor b & e charges may result in the defendant being fined or having to pay damages to the victim. According to the Criminal Code of Canada, more serious b & e charges may result in jail time up to ten years, and a judge may add higher fines, extended probation, community service work, restitution, or other. 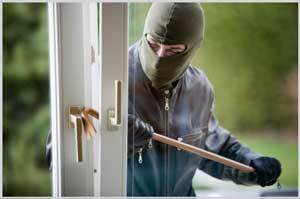 Are you facing Breaking and Entering (B&E) Charges in Toronto? A criminal record will inevitably limit your ability to travel, cause difficulty in acquiring a job, and have lasting affects with your family & relationships. If you are facing b & e charges, the best chance you have in protecting your future rights and privileges is to consult with an experienced Toronto b & e lawyer with a proven track record of successful outcomes. Though you may believe your case is lost already, and the prosecution has overwhelming evidence to have you charged, there are approaches that a expert criminal defence lawyer can use to successfully oppose even the most challenging and complex of breaking and entering charges. It requires an exhaustive examination of the circumstances and a thorough understanding of the subject to determine the best approach for your case. Toronto Criminal Lawyers Stephen Hebscher & Bruce Karten have defended several hundred individuals charged with breaking and entering. Their intention is to protect your rights, counter the accusations against you, negotiate on your behalf, and have the charges decreased, or dismissed completely. In court, our law team will present a solid and compelling defence based on sound facts. Our Toronto b & e lawyers have strategies to oppose your charges, and we’re committed to carrying out all we can to support you in avoiding a conviction. See what our other clients are saying about us. We can help you too! For a free confidential consultation, give us a call today.